The Gallagher Group at Morgan Stanley is led by Michael Gallagher, Ben Katz, and a team of highly experienced individuals. Michael Gallagher, Managing Director at Morgan Stanley, joined Smith Barney in 1990 and is a Director in the Corporate Client Group, focusing on institutional offerings to the corporate marketplace. He was formerly Chief Operating Officer of Corporate Equity Solutions for Morgan Stanley. Michael has also been recognized as a member of Morgan Stanley’s Chairman’s Council, the top annual internal recognition within the firm for advisors. Michael focuses on providing publicly traded companies and their executives with support services in the areas of stock option, stock purchase and restricted stock plans as well as related executive services and education. He began his work in the corporate arena in 1993 and is dedicated exclusively to this market. Most recently, Michael was acknowledged as #18 in the Barron’s 2016 Top Financial Advisors in Illinois. Benjamin Katz, Executive Director, focuses on financial planning and investment management for the C-Suite executives of our team's corporate stock plan clients. 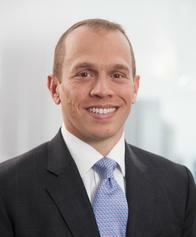 Ben joined Morgan Stanley in 2003 after working as a public accountant and investment banker. 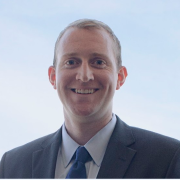 Ben is a non-practicing licensed CPA, CEP and a member of the National Association of Stock Plan Professionals (NASPP). Ben holds a Bachelor of Business Administration in accounting from the Goizueta Business School at Emory University. • Providing exceptional service and strategy with objectivity, understanding and concern. • Creating generational relationships built on a foundation of trust and integrity. • Helping our clients achieve their long term financial goals through holistic wealth planning. No matter how complex your financial situation, the Gallagher Group at Morgan Stanley can help you preserve and build your wealth. We begin each relationship with an in-depth discovery process that includes an assessment of your current financial position, review the risk management parameters and determine short and long term needs. Working together, we will develop and implement a comprehensive financial plan that complements our clients’ objectives while periodically reviewing these factors to incorporate any updates. You will always receive a high level of personal attention and service which will allow us to provide you with ongoing personal and customized solutions. The Gallagher Group at Morgan Stanley helps individuals exercise employee stock options or sell restricted shares every year. As a result, there are few if any situations we have not encountered before. Our group assists clients with their income and diversification opportunities in addition to reducing the negative effects of taxes. The Gallagher Group's wealth management and institutional services practice covers the full spectrum of investment strategies and solutions. For families and individuals seeking wealth planning guidance, we have dedicated Financial Advisors and Certified Financial Planners who serve as their “personal” chief financial officer, creating a comprehensive roadmap that seeks to ensure financial success over multiple generations. For corporate executives and stock plan participants, we focus on the complexities of equity compensation and highly concentrated stock portfolios and are able to help individuals understand where their equity compensation fits in to their overall financial picture. Additionally, Morgan Stanley is the #1 Market Leader in 10b5-1 trading plans, capturing 24.29% of the 10b5-1 market from 2005 through 2015. For corporations and institutions, we offer experience and dedicated personal support for plan administrators, executives and participants. We help companies apply the best and most current equity compensation plan practices available today. Morgan Stanley offers a choice of administration and service models utilizing industry leading administration and execution capabilities. Additionally, the Gallagher Group at Morgan Stanley offers customized education solutions and corporate sponsored financial planning. Michael Gallagher, Managing Director at Morgan Stanley, joined Smith Barney in 1990 and is a Director in the Corporate Client Group, focusing on institutional offerings to the corporate marketplace. He was formerly Chief Operating Officer of Corporate Equity Solutions for Morgan Stanley. Michael has also been recognized as a member of Morgan Stanley’s Chairman’s Council, the top annual internal recognition within the firm for advisors. Michael focuses on providing publicly traded companies and their executives with support services in the areas of stock option, stock purchase and restricted stock plans as well as related executive services, education and financial wellness. He began his work in the corporate arena in 1993 and is dedicated exclusively to this market. 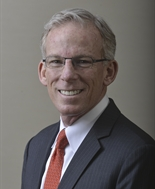 Most recently, Michael was acknowledged as #4 in the Barron’s 2018 Top Financial Advisors in Illinois and #71 in the Barron's 2018 Top 100 Financial Advisors in the U.S.
Chris Munroe is responsible for corporate client relationship management and business development for The Gallagher Group at Morgan Stanley. He focuses on employee education and compensation/benefit plan administration to help companies attract and retain their top employees. Chris joined Morgan Stanley in 2013 after working at Goldman Sachs and UBS Wealth Management. He also works part-time as a Soccer Analyst/Color Commentator for the Big Ten Network and other soccer broadcasts. Chris was a two-time NCAA championship-winning soccer player and graduate assistant soccer coach at Indiana University, where he received both his bachelor’s and master’s degrees. Zach is an Associate Stock Plan Director and Group Director for the Gallagher Group. 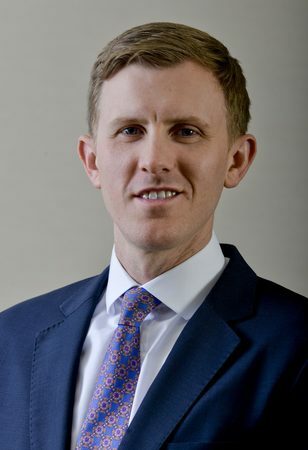 He joined the Gallagher Group at Morgan Stanley in 2007. Zach is a graduate of Drake University and a member of the National Association of Stock Plan Professionals (NASPP) and Global Equity Organization (GEO). He is a CEP and has his Series 7, 66 and Insurance licenses.